Orange County is a unique area often considered to be the suburbs of Los Angeles or even San Diego. That being said, there is plenty of personality, charm, events, and character that make OC stand out amongst others. It’s no wonder that housing prices have steadily risen over the past few years. There might not be many secrets due to the area’s recent notoriety, but here are five neighborhoods you may not have previously considered as excellent places to live in Orange County. Aliso Viejo – With new homes, interesting architecture, and plenty of space, Aliso Viejo is an up-and-comer. Considering homes next door in Mission Viejo are regularly exceeding $1,000,000, this area still remains relatively lower cost with growth potential. The city has done an excellent job of drawing the right type of people to the area and progressively building a tremendous community. Seal Beach – The city is often considered old (currently), but the existing infrastructure and shoreline location means big things for this city. Seal Beach maintains a beautiful and private section of the Pacific Ocean exclusively to itself. With restaurants and shops covering all interests, this area could quickly become a tourist haven or a smart place to invest in right now. The median home price is nearly a quarter of most beachfront property located in and around Orange County. 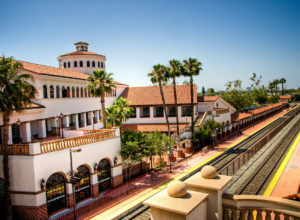 Santa Ana – Near downtown, or the artist’s village, you can find plenty of buzz swirling around activity and passion. Coastal locations often get the most recognition, but Santa Ana has dramatically upgraded within the past year. The community was regularly considered rough for many years. Yet, in a very short amount of time, the change has been dramatic and non-stop. Young people have spent much time and energy to help move this city forward. Due to their efforts, among others within the community, Santa Ana now boasts a variety of hip restaurants, pubs, and events. This place has suddenly become a hotspot for young professionals and students. Fullerton – California State Fullerton has always given this community some life, and has frequently infused energy and excitement into the local establishments. The mix of student community and professionals has a perfect blend that creates an excellent balance. Typically, we consider a level of risk when thinking about a college town that can support the party scene. In Fullerton, the student population does not seems to cultivate a great sense of community and sustain a strong sense of morals and values. You can find relatively affordable housing throughout Fullerton. Savvy home-hunters and investors can still find bargain condos that be turned into rentals and starter homes. Stanton – The smaller city of Stanton is certainly overlooked, but the homes are significantly lower. While Stanton might be very lowkey, you can head to Anaheim for baseball games or head to Disneyland. The location, itself, makes the city very valuable and likely to attract the right kind of people to it. The median home is priced at $400,000 and that will not last for long. The homes have already experienced a steady increase over the past few years. This is an area worth considering as it grows.